We are a collection of high achieving individuals that form a collaborative team with one goal in mind – to produce the best and most simple to use intelligent textbooks. Quality drives us and we embrace the responsibility of providing a first-class learning resource. We help teachers teach, we inspire students to learn and we are creating a more fun way to study. Kognity help schools teach, manage and improve the learning experience for their students. Our ultimate goal is to see the success and steady improvement of students as they navigate through their studies with the help of their teachers. We do that by providing first-class intelligent textbooks that adapt to the learning needs of students and help teachers coach their students through their education. We’re a textbook publisher, but a different one. Back in 2012, we decided to start reinventing the printed textbook in order to provide a digital, interactive and intelligent textbook. We want to bring life to textbooks and by mixing education with technology, we can help teachers teach and students learn in a drastically more efficient way. Education is not a one size fits all model and nor should the resources be and we are therefore on a mission to bring the world to the intelligent textbook era in order to improve learning through innovation. 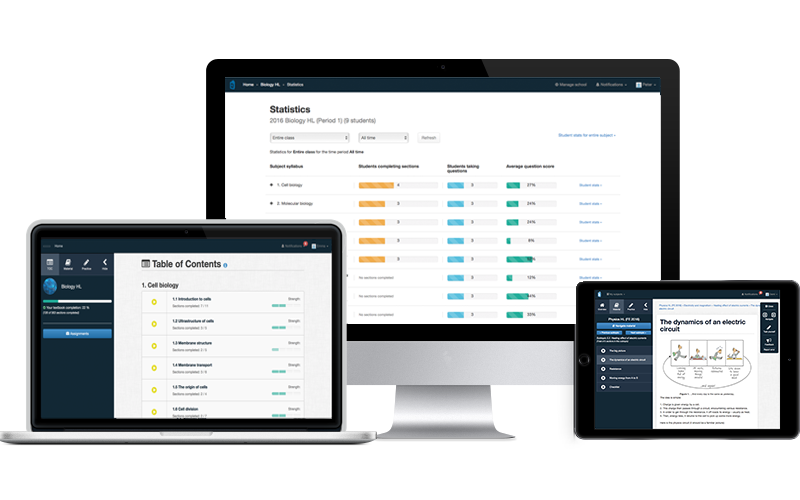 By rethinking what a textbook could be, Kognity moves away from the plaintext to an interactive learning experience to suit the needs of your students. In this way, we can change the textbook from a static one-way to a dynamic two-way flow of information, thus helping teachers and students achieve better results. 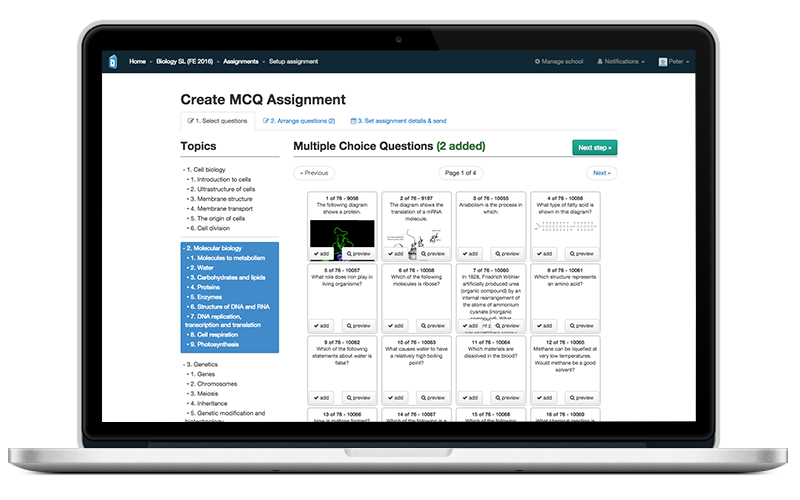 Our textbooks offer videos, animations, and automatically corrected questions to fully utilize the capacity technology can offer in improving learning for students. All our questions provide automatic feedback, which builds up a profile of the students’ strengths and weaknesses. Teachers can use this information to tailor their classes for maximum results. One of the key strengths of Kognity’s digital textbooks is the ability to track data and display it for you so you can put efforts into adjusting your efforts according to students results, thus bringing them to the next level. Our intelligent textbooks are specifically designed to match the curricula with content highly relevant for schools. Experiences educators and examiners have authored the texts and questions to tailor-fit the needs of teachers and students. Kognity is one the fastest growing EdTech companies in the world and we aim to radically improve learning for 1.5 billion school students globally. We provide intelligent textbooks to schools in over 70 countries on 5 continents, allowing students to learn things faster and more effectively, and teachers to help students reach their goals. Kognity is growing 100% year-on-year. 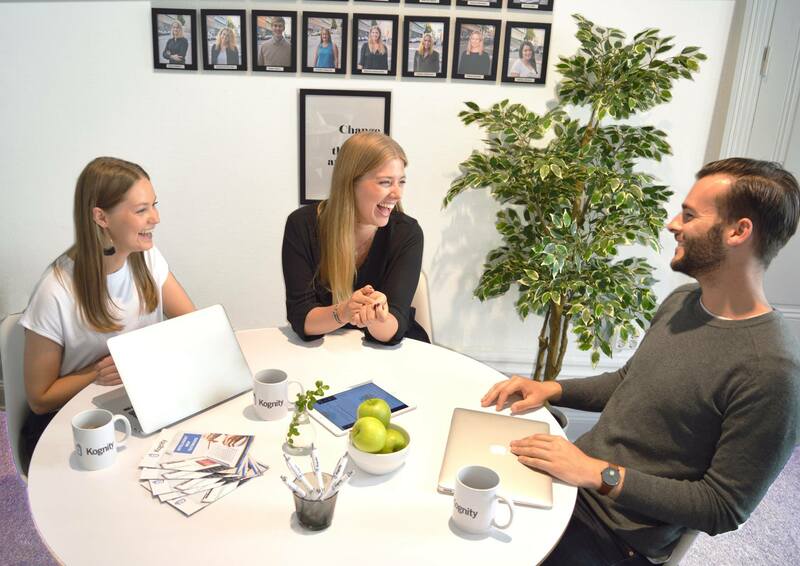 We are looking for the sharpest brains, biggest hearts, and greatest drive in Stockholm and internationally, willing to take part in making the world a better place by working for a fun, caring and challenging environment. Hello, we’re Klarna. Ever since we started in 2005, we’ve been committed to making online shopping easy and hassle-free. In the last 12 years, technology has evolved, excited and transformed the world around us, yet our mission remains as relevant as ever, to make paying as simple, safe and above all, smooth as possible. 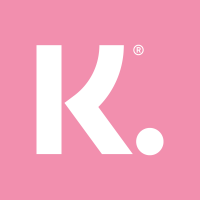 Klarna is now one of Europe’s largest banks and is providing payment solutions for 60 million consumers across 70.000 merchants in 18 countries. Klarna offers direct payments, pay after delivery options and instalment plans with a smooth one-click purchase experience that lets consumers pay when and how they prefer to. When the company acquired SOFORT in 2014 the Klarna Group was formed. And in September 2017 Billpay joined the Klarna Group - so we’re on the move, and you could come be part of it! Looking to join our team? You will make friends with people from all around the World. 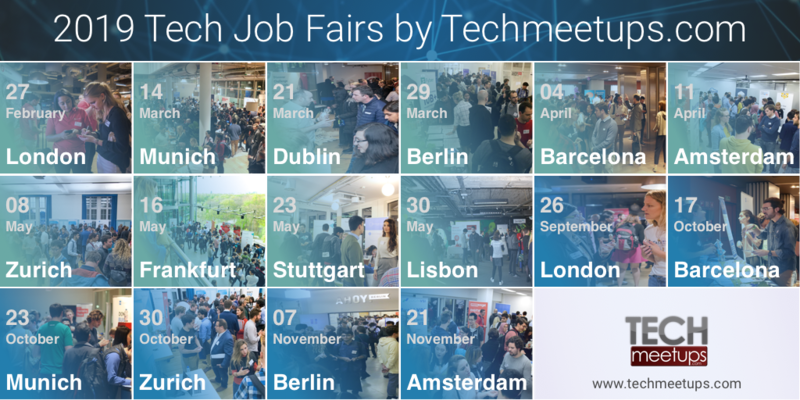 We're exhibiting at Tech Job Fair in Berlin, see you there! CORE accompanies the management of complex IT transformations in industries with a disproportionally high contribution of IT to business success. In joint approaches with our partners and based on our market knowledge, technology expertise and methodical know how we develop solutions that reflect the whole value chain and ensure future-proof change. We act in alignment with our values 'Trust, Performance & Expertise' as a reliable partner in the collaborative efforts with our clients, rooted in the principle of performance and execution, and founded on the basis of competence and know-how. Providing a comprehensive range of services, we address a large share of the IT value chain, starting from the analysis of innovative market developments over the design of the (IT) strategy and the planning of implementation projects up to the implementation itself as well as an operation of the system. With our research on the dynamics and systematics of complex IT transformations as part of the COREinstitute, we support leading companies and institutions worldwide in finding the appropriate measures to manage the fundamental structural change driven by digitization. COREtransform is responsible for advisory services to our clients in the IT management in regards to all IT-transformative undertakings, utilizing our profound business and technical expertise through an efficient collaboration of generalists and experts. At COREengineering, we develop sustainable solution designs, accompany their implementation in conjunction with selected implementation partners while steering the projects to ensure success. COREoperating assists clients in transforming solutions into productive operations with the help of our integration and migration services. CORE offers you various opportunities to develop both professionally and personally in a challenging and dynamic environment with clear objectives. We invite you to develop the potential of our clients, together with talented and successful colleagues, on the basis of agile methods using the innovative software in challenging development tasks. Whether as a business analyst or a software engineer, at CORE you will work with others at the highest level to develop state-of-the-art software. You are studying natural sciences, economics or humanities and are curious about deeper practical insights. You have successfully completed your studies and want to apply your knowledge and skills in practice. Tired of the daily bumper-to-bumper commute; tired of the nine to five grind; tired of a wretched boss not understanding your abilities and needs; tired of having a day off only to have rotten weather? If the answer to any of those above is yes, consider relocating your career to paradise. What is paradise? Everyone has their own definition. Discover your perspective and start a business plan for that life-altering move. What is your career? It might be the same as your current career or it might be, by choice or necessity, a totally different path. It could be becoming a bartender or owning the bar. Personally, I was tired of the commute, the rotten weather, the sixty plus hour work weeks and what I call “corporate chaos.” The direct boss was okay, because that was me. However, I worked for non-profits meaning the indirect bosses were many – boards and committees. All were wonderful people one-on-one, but together different agendas could emerge. I had the good fortune of growing each organization I was with. The thought always crossed my mind – could I find a business for myself and similarly grow that? TORONTO, July 24, 2012 /CNW Telbec/ - Within most companies, it's not just the leaders of the organization who support the local community, but the employees as well. 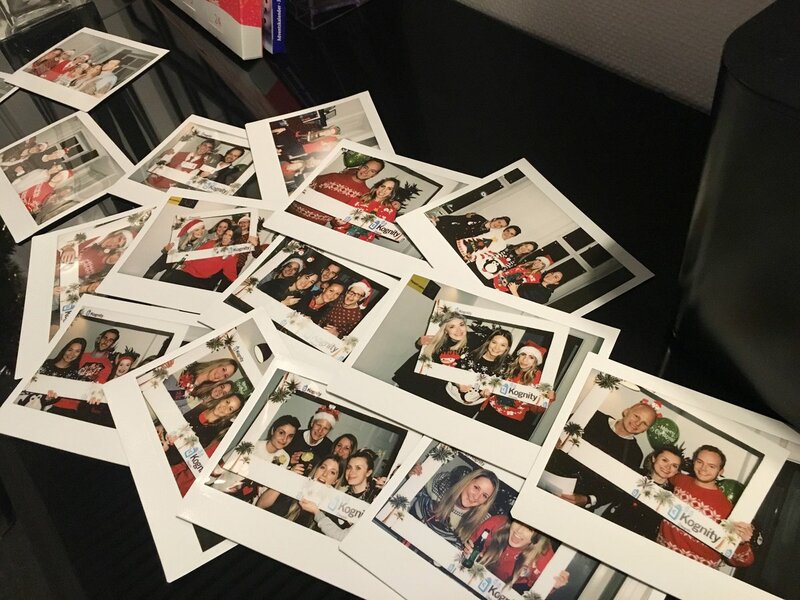 And Randstad Canada, the country's leader for staffing, recruitment and HR Services recommends employers, large and small, strengthen their corporate social responsibility initiatives by encouraging employees to give back - on the company's time. Stacy Parker, EVP of marketing for Randstad Canada says time scarcity is a significant barrier to volunteering. "Finding time to devote to volunteering can be a difficult task. While many employed Canadians do manage to find the time to volunteer, the fact is, many struggle to strike a balance between their work and private lives. As employees assume more responsibilities in both their work and family spheres (such as child care, elder care, single parenting, or working longer hours), employers should do their part to encourage their employees to volunteer during working hours," she says. According to a recently released Statistics Canada study entitled Employer Support of Volunteering, in 2010, 57% of employees in Canada who did volunteer work reported that they had received one or more formal means of support to do so from their employer. Comments Off on What To Do Instead of Starting a Company? What To Do Instead of Starting a Company? In a previous post, I listed my major hesitations that I often share with founders these days who ask me about starting businesses. Ultimately, I really believe that founding a business isn’t for everyone. It probably is a good fit for many at some point in their careers, but not necessarily immediately. So, the question then is, what is a smart thing to do other that starting a company if you think that an entrepreneurial career path is in your future? It’s pretty simple – I think you should join a startup. And on balance, the earlier you are in your career, the more you should prioritize joining a screaming winner. I mean this at the expense of finding the ideal role, ideal seniority, and ideal stage. Join the winningest company you can find in a sector you care about with people you like. THE region’s young entrepreneurs can apply for money to help them launch a business under a scheme launched by David Cameron. 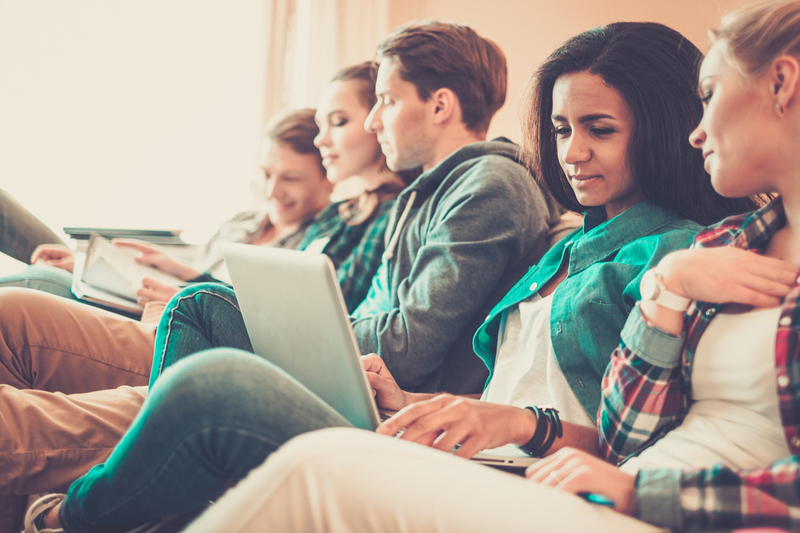 During the next three years, ministers will put £82m into the StartUp programme, which will offer loans worth on average £2,500 to people aged 18 to 24 who can show that they have a robust business plan. The launch coincides with the publication of a report from Lord Young, the Prime Minister’s enterprise advisor, saying that there would be 900,000 more businesses in Britain if it had the same culture of entrepreneurship as the US. He said small businesses are “the engines of any healthy economy”. Lord Young was appointed as enterprise tsar in 2010, but had resigned within a month after claiming that British people had “never had it so good”. He quietly returned to his role last October in an unpaid capacity. Many of us have dreamed of launching our own businesses. And metro Phoenix residents hoping to start their own businesses will find there are various resources to help them gain the knowledge they'll need to launch their ventures. The Maricopa Community Colleges Small Business Development Center offers two relatively new tools to help budding entrepreneurs or those contemplating starting their own small business. The first, developed by Hewlett Packard, is called "LIFE -- Learning Initiative for Entrepreneurs." The second program, TechEDge, is a partnership with the city of Chandler. HP LIFE classes, which are free, began in January, and more will be added as people request them, says SBDC Director Mark Engle. "People really like the approach," he says. "It's not the typical training of a sage on the stage, but more about solving problems, such as getting customers or managing inventory." The classes offer five training levels, from hopeful entrepreneurs with an idea to those who've been in business and are hitting brick walls, Engle says. The participants use open-source software, typically free and widely available so they can use it after classes end. It is no longer necessary to wait until you have grown your business enough to hire “real employees.” By tapping into the global talent pool of virtual professional services, you can build a team of skilled professionals who choose to work from home at little risk and great reward. It is Monday morning. In a Denver office, the phone rings – a client is calling from Osaka. The phone is answered promptly and courteously by a virtual assistant working from her home in Manchester, England. Not a faceless call center employee, but a dedicated team member, who just happens to be half a world away. Small businesses like this one are busting down the walls and going global in sales and in their workforce. Smart businesses of all sizes are finding and hiring the exact skillset they need for a project, for ongoing work, or even a few hours without having to worry about overhead, payroll taxes, benefits or future layoffs. And they have good company. This year Elance, the world’s largest online platform for freelance work, topped $500 million in online work. Auckland’s entrepreneurs will be able to develop their ideas in a weekend startup high intensity event on 15-17th June. Building on the successful international Startup Weekend model, Startup Weekend Auckland gives the Auckland’s innovators the chance to develop business ideas that could fuel the city’s future. The third Auckland Startup Weekend is being held on Auckland’s North Shore at ecentre. ecentre is looking to enable the winner of the next Startup Weekend to take their business from garage to global. The winning team of the October 2011 Startup Weekend Auckland has come a long way from their 60 second pitch on a Friday night, to pitching in Singapore at DEMO Asia. Ticket sales are now open via the website http://auckland.startupweekend.org/. Startup Weekends are aimed at entrepreneurs and anyone thinking about business ideas. The process allows people to rapidly build and test ways of bringing the idea to market. Developers, designers, marketers, product managers and startup enthusiasts come along to form teams which will work on start-up ideas, building products, and launching. This leads to prizes, publicity and tangible outcomes. The crowdsourcing site Kickstarter just turned three years old, and the New York Times has a niceprofile that explores how the company has evolved and how its changed the way entrepreneurs, artists, and anyone else with an idea can raise capital online. 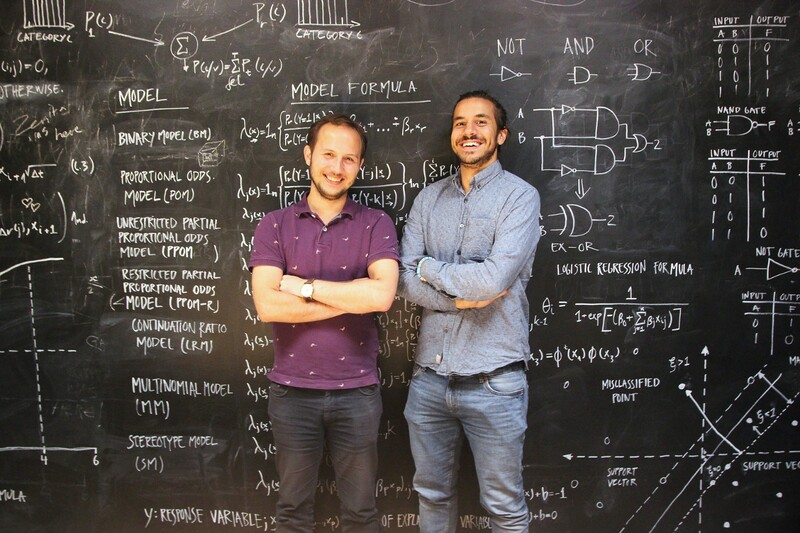 Much as the introduction of cheap Web services lowered the barrier to entry for people seeking to create a start-up, and as offshore manufacturing gave entrepreneurs a chance to make products without having to build a factory, Kickstarter offers budding entrepreneurs a way to float ideas and see if there’s a market for them before they trade ownership of their company for money from venture capitalists. Kickstarter and other crowdfunding websites are also facing something of a watershed moment in the wake of passage of new bipartisan legislation, the JOBS Act, that would specifically allow for private startup companies to solicit investors with stock options offered online, something previously not allowed under Securities and Exchange Commission regulations. According to a new poll, the Manta SMB Wellness Index, small business owners were planning to hire at this time last year, but the majority (80 percent) haven’t added a single employee through the first quarter of 2012. The survey found that more than half of small businesses (53%) say they are not taking advantage of the Patient Protection and Affordable Care Act (“Obamacare”) healthcare tax credit, which became available in 2010 for small businesses with fewer than 25 full-time employees. In fact, education may be needed in the business community as one in three small business owners say that don’t understand the law and its requirements. What makes a startup accelerator work? And why regional accelerators need to change. Business Angels and entrepreneurs are increasingly meeting in the context of a startup accelerator programme, so it matters greatly – to all of us – if the accelerator works or not. The doubt of whether accelerators work or not is beyond dispute in the US – where Y Combinators leads the way. However, doubts have been raised in the UK (and equally Europe) about whether this startup accelerator format can be transferred out of the USA. The answer to which, I believe, is yes – but not in the same format! Firstly, Y Combinators is a silicon valley based accelerator and as such is coloured by the nature of its local investor community. After all, accelerators do exist because of – and for – their investor community whilst also being of great value to the local entrepreneurs. The investor community in San Francisco might be contrasted with the business angel or early VC community in (say) Manchester, England. In Manchester, the business angel and early stage VC community wants to see revenue before investment. Compare this to West Coast USA where hot ideas are backed with large sums of money before revenue. In the north England, it just isn’t like this. Hence, entrepreneurs – based in Manchester – should move to Silicon Valley or Boston (or perhaps now London) if they want their project backed – pre-revenue. The consequence of this difference is significant. Firstly, the scope of ambition in a pre-revenue startup in Silicon Valley – can be global or enormous – especially when the point of the business paying its way gets put back – such as Twitter – because additional funds can be raised on high levels of user growth. Equally, the need to prove revenue early on typically means that the revenue driven business – found in UK regions and across Europe – will focus on a niche and then specialise. TEACHERS, advertising executives and non-profit workers should go to Facebook. For retail and energy workers it's Twitter. And if you’re turning to social media to look for work in hospitality, health, law or defence you should be looking at LinkedIn. These were the findings of a survey looking at what social media channels Australian recruiters use to find candidates. The online survey of 35,000 people, done by recruiting software company Bullhorn, revealed the sites used varied widely between industries. Scroll down for the Top 10 Industries posting job ads to Facebook, Twitter and LinkedIn. Interestingly, the top four industries posting jobs to LinkedIn, the "professional" social network, don’t even feature in the top ten industries to post ads to Facebook or Twitter. Similarly, recruiters posting jobs to Twitter, don’t choose to post job ads to LinkedIn or Facebook. The recruiting ecosystem is changing, led by professional social networks like LinkedIn and Viadeo and companies like Jobvite and BranchOut, which are building Facebook apps for hiring and career development. This report examines that new ecosystem and how the above and more companies are changing the way businesses find and retain their employees. Congratulations, you've done it! You started with an idea, launched a company, and now your product or service is selling well. It’s time to grow. But as you know, growing a business isn't simple. From an HR perspective, in particular, there’s a lot of work to be done, and it’s up to you. I recently connected with Turo and Dan Roitman, Founder and CEO of Stroll–two entrepreneurs who have successfully grown their businesses from scratch–and posed the question: What does it take to grow a company from startup to small business? Here are five must-haves they identified to take your business to the next level. Does A Military Background Help Or Hurt In StartUps? 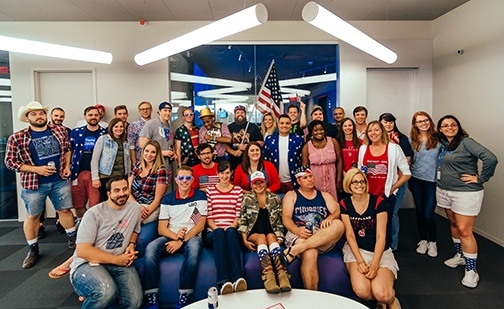 Why wouldn’t you hire a veteran in a startup? When I first left the military I interviewed with Andersen Consulting (later to become Accenture) and was asked the question, “We are a very entrepreneurial company. What makes you think your background in the military would prepare you to fit into our culture?” It’s as valid a question as any other, I suppose, if somewhat patronizing. Since that interview, I have started three companies, with various degrees of success, and had ample opportunity to wonder what skills the military provided me that helped me in my successes. I have had people say that I must have been successful because of my success as a Navy SEAL. While there are a number of former SEALS who have successfully started businesses, there are more SEALS that have not been entrepreneurs than those that have, just as in the normal population. So does a military background limit your ability to be successful as an entrepreneur? From my experience, this is as incorrect an assumption as is the assumption that every college drop-out can become a billionaire by founding their own company. Just because someone can thrive in a structured environment such as the military does not mean that they do not have the capability to innovate and be creative. In addition, there are equally important personality traits to success as an entrepreneur that one can develop and hone in the military, including self-motivation, discipline, ability to work hard for weeks on end, ability to tolerate privation and perseverance in the face of repeated failure. Not all military personnel embody or excel at all of these skills, but for those that do, and who also have the desire and ability to strike out on their own, these skills can help the veteran entrepreneur be far more successful than someone without those skills, more easily. The city of Melbourne is famous for its food, its fashion and its football, squeezing all manner of things into every calendar year, with no shortage of activities for tourists and locals alike. Since the mid 1990s, Melbourne has experienced significant population and employment growth, and there has been substantial investment in the city’s industries and property market. So where does that leave start-ups? There’s no shortage of notable Melbourne start-ups, including daily deals site Catch of the Day and its group buying subsidiary Scoopon, which last year landed an $80 million investment. Founded by Melbourne brothers Gabby and Hezi Leibovich, Catch of the Day was launched in 2006, while Scoopon launched in 2010. Other Melbourne start-up success stories include 99designs and BugHerd. “The Melbourne start-up scene has improved immensely in the past 18 months, particularly for tech start-ups,” says Andrew Birt, co-founder of Melbourne-based start-up incubator AngelCube. Birt says Melbourne’s start-up scene also benefits from the work being done at accelerators such as AngelCube. “Accelerators shine a spotlight on what’s happening in a local start-up community and bring together a diverse group of mentors… We could do with another in Melbourne,” Birt says. Amir Nisssen, founder of Student Entrepreneurs at Melbourne University, agrees the start-up scene in Melbourne has been “coming of age” in the last 12 to 18 months. A vision to inspire lasting social change was central to London’s bid to host the 2012 Olympic and Paralympic Games. So when the flame is lit this July, will the world see Olympic-inspired workplace diversity and inclusion at its best? In HR terms, filling 177,000 jobs (paid and voluntary) in a way that both reflects the diversity of the six host boroughs - Barking & Dagenham, Hackney, Newham, Tower Hamlets, Waltham Forest and Greenwich - and showcases how dynamic and inclusive the UK can be, is a major undertaking. LOCOG, the London Organising Committee of the Olympic Games and Paralympic Games, says between 18% and 29% of the 7,000 paid employees (the rest are volunteers or contractors) will be from black, Asian and minority ethnic (BAME) backgrounds, while the target for disabled people working at the Olympics is 10%. "The diversity of the capital was one of the reasons London was awarded the games and, as such, we wanted to create a working environment that would enable everyone to be a part of this event," says LOCOG's HR director, Jean Tomlin. "So we put together policies, such as Attitude over Age and Access Now [see Box], which would allow us to recruit a workforce representative of London and the rest of the UK." LOCOG wants to recruit a most diverse workforce - from age, race, disability, sexuality, gender, to gender identity and belief - and, from the start, diversity and inclusion have been woven into everything the organisation does. "We knew we had a huge opportunity to set an example and help inspire other organisations to make diversity and inclusion a key part of their business," says Tomlin. Catalina Gorla and I are talking with Jen Gabler, administrator and CFO who takes wild-west entrepreneurs and shapes up their organizations so they can actually survive and grow. Catalina: So what would be a summary of what you would tell a startup it should think about when it’s ready to think about being a serious company? Jen: When a company is transitioning from an early R&D stage, entrepreneurs should implement best practices in the areas of controls and governance to scale the business profitably and use capital efficiently. Authorization Matrix – In an early stage company, it is important to list the transactions that result in cash outflows and who in the company has the authority to make those decisions. Cash Reconciliation Process – Starting at the inception of your company, every month you need to have someone reconcile your bank account activity to your accounting system records. Purchase Order Process – The person proposing a non-routine purchase should document what the purchase is, how much it will cost and what budget line item the cost should be booked against. Expense Policy – You should distribute a document stating what will and will not be reimbursed by the company. Payroll Controls – You should absolutely outsource the processing of payroll to a payroll service company like ADP. One of the big advantages of being an entrepreneur and starting your company from scratch is that you get to set the culture, which is much easier than changing the culture of an existing business. The challenge is how to do it, and how to do it right. Why not learn what you can from companies like Apple, who are leading the way with great growth and a great culture? Jim Stengel, in his latest book “Grow: How Ideals Power Growth and Profit” chronicles a ten-year study of the world’s fifty best businesses, including Apple, and concludes that those who centered their businesses on a culture of improving people’s lives had a growth rate triple that of competitors in their categories. Communicate your dream and operationalize it. Mission statements tend to be narrow, business oriented statements such as “Be the leader in customer satisfaction.” Your dream and your company culture needs to be outward focused with a higher good, extending beyond the company’s financial interests. Be clear about what you stand for, inside and outside your company.Your personal priorities, values, and principles set the culture. The best way to be clear about them is to regularly engage team members, customers, and suppliers. People follow what you do, not what you say.